The best interior design schools are generally the ones which have the most graduates and most successful employment rate on completion of courses. Naturally it can be difficult to access this type of information as it is often considered confidential, but you will find top rating schools boasting about their graduation rate and this can be a good way to find a great school. Early this year, SCAD was named the best interior design graduate program. The Savannah College of Artand Design industrial design and interior design programs are among the top five programs in the nation, ranked by DesignIntelligence in the 2008 edition of "America's Best Architecture and Design Schools." 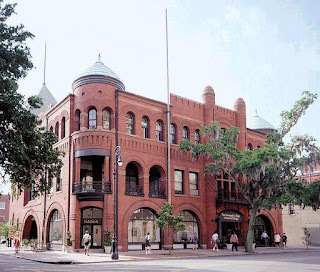 The SCAD interior design graduate program was ranked No. 1 in the nation. The program was also ranked No. 1 for quality of graphic presentations and presentation skills from recent graduates. SCAD's industrial design graduate and undergraduate programs were ranked third and fourth in the nation, respectively. Both programs were ranked No. 1 in the South and among the top 10 in the East. The undergraduate program was also ranked No. 2 in the Midwest. DesignIntelligence's annual survey provides students, parents, counselors and corporations with the necessary tools to evaluate the nation's best architecture and design schools. The nation's leading industrial design firms and those in the corporate sector were surveyed to evaluate which schools produced industrial design graduates prepared for real-world practice. The 2008 edition of "America's Best Architecture and Design Schools" can be ordered online at www.designintelligence.com. Arts, Master of Architecture, Master of Arts, Master of Arts in Teaching, Master of Fine Arts, and Master of Urban Design degrees. For more information about the college, visit www.scad.edu.